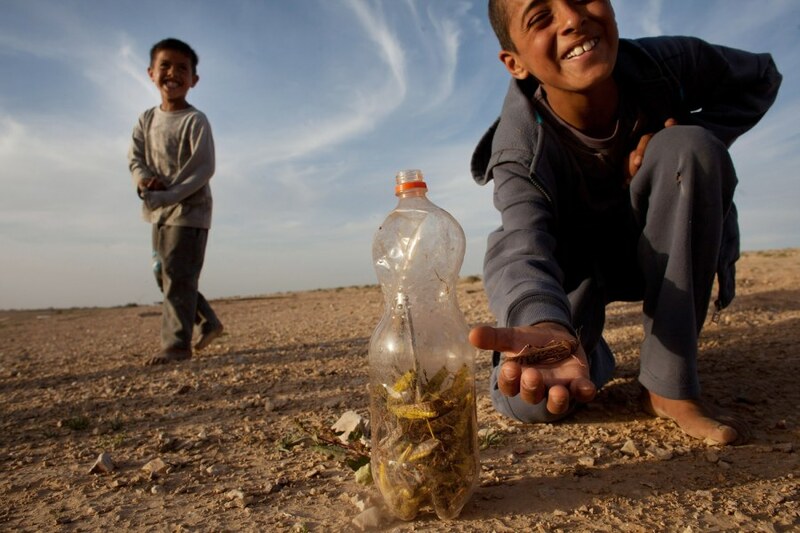 Bedouin children play as a swarm of locusts arrive over their vilage in the Negev desert near the Egyptian-Israeli border on March 12, 2013 at the Bedouin village of Bir Hadage, Israel. 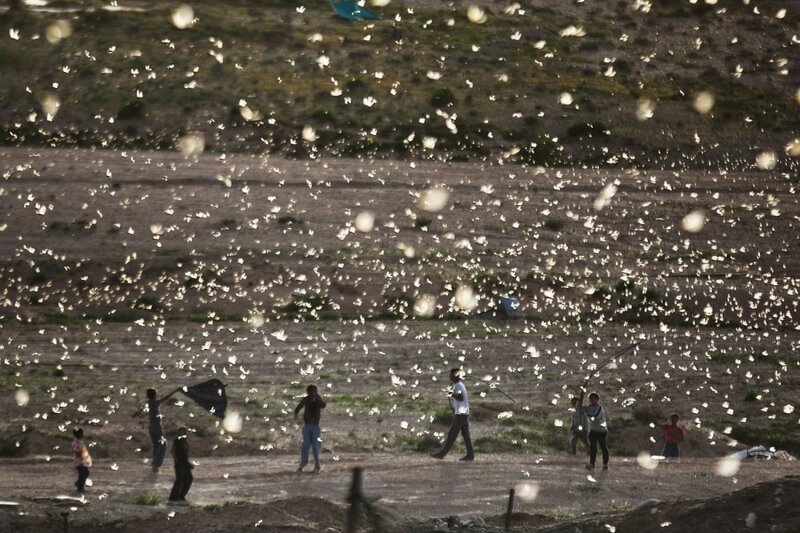 Egypt and Israel have been swarmed with millions of locusts over the past few days, causing widespread disturbance. A Bedouin boy collects locusts as a swarm arrives over his vilage in the Negev desert near the Egyptian-Israeli border on March 12, 2013. Israeli agricultural officials are continuing efforts to stave off swarms of locusts two weeks ahead of the Passover holiday. NBCNews.com's Dara Brown reports.